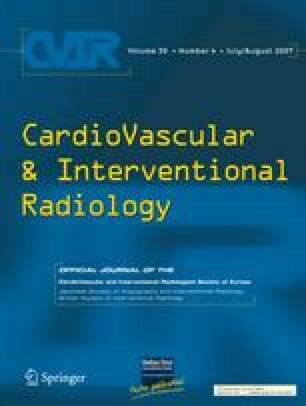 The purpose of this study was to retrospectively evaluate interventional radiological management of patients with symptomatic portal hypertension secondary to obstruction of splanchnic veins. Twenty-four patients, 15 males and 9 females, 0.75 to 79 years old (mean, 36.4 years), with symptomatic portal hypertension, secondary to splanchnic venous obstruction, were treated by percutaneous methods. Causes and extent of splanchnic venous obstruction and methods are summarized following a retrospective evaluation. Obstructions were localized to the main portal vein (n = 22), intrahepatic portal veins (n = 8), splenic vein (n = 4), and/or mesenteric veins (n = 4). Interventional treatment of 22 (92%) patients included recanalization (n = 19), pharmacological thrombolysis (n = 1), and mechanical thrombectomy (n = 5). Partial embolization of the spleen was done in five patients, in two of them as the only possible treatment. TIPS placement was necessary in 10 patients, while an existing occluded TIPS was revised in two patients. Transhepatic embolization of varices was performed in one patient, and transfemoral embolization of splenorenal shunt was performed in another. Thirty-day mortality was 13.6% (n=3). During the follow-up, ranging between 2 days and 58 months, revision was necessary in five patients. An immediate improvement of presenting symptoms was achieved in 20 patients (83%). We conclude that interventional procedures can be successfully performed in the majority of patients with obstruction of splanchnic veins, with subsequent improvement of symptoms. Treatment should be customized according to the site and nature of obstruction.